Portugal is one of the most highly developed countries with an incredibly peaceful nation making it one the most popular tourist destinations in Europe, where you can relax in the sun and immerse yourself in their relaxed culture. For the perfect family holiday you should undoubtedly choose Portugal with its diverse countryside, white sandy beaches in the Algarve to tropical landscapes in the Madeira Islands. Portugal has recorded temperatures as high as 47C (117F) degrees in Alentejo in the summer months so make sure you bring plenty of high factored suncream preferably factors 30 or 50. Apply this constantly to not only your children but yourselves as to avoid problems burning and subsequently skin cancer later on in life to give you the perfect and pain free holiday. However if you choose to go in the Winter season make sure you bring several umbrellas and some light clothing due to the humid atmosphere and high levels of rainfall. For a perfect family holiday ensure the resort you choose has all the necessary features for children such as a pool and a kids club. Most Portuguese resorts will have these facilities but it’s best to double check as to make sure you can relax in the sun whilst knowing your children will be loving life with other children under professional supervision. This means that the whole family can enjoy themselves stress-free, as parents chill by the pool and the children run around in good hands. Having the perfect holiday doesn’t necessarily mean fine dining each night. Why not get the children involved in cooking a Spaghetti Bolognese or perhaps a colourful salad. Make sure you buy plenty of ice cream or lollies too from the supermarket as they’re perfect puddings and will put guaranteed smiles on your child’s face. In European countries there are nearly quadruple the amount of ice cream flavours so why not try something new whilst you’re abroad. You never know, you could find a new favourite flavour! Eating in saves each family around 90% opposed to eating out and you should therefore feel that when on holiday you should be able to treat yourselves a little. Eat out a couple of nights but make sure you go to a tourist information centre first though as they will always recommend the best place suited to your preferences. Treat your ‘going out’ evenings as a special night out to make it more enjoyable. Choosing a good hotel also helps as most good hotels provide excellent local cuisines. 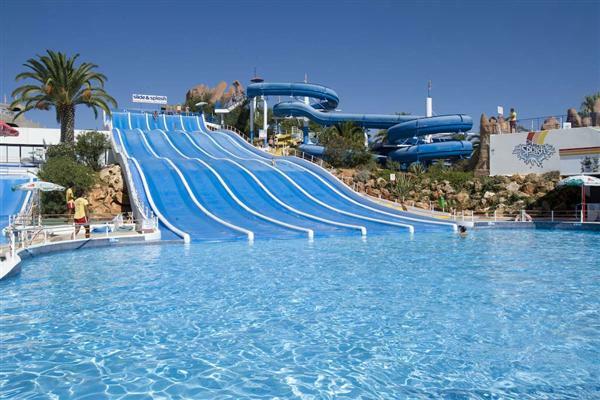 There are so many things to do in Portugal, some of the best for a perfect family holiday are Slide and Splash, Zoomarine and Krazy World. Slide and Splash is full of daredevillish water slide, wild splash shows and reptile shows for the younger ones. If these don’t take your fancy then you’re welcomed into the blue water pool or bubbling jacuzzi enabling your anxieties to float away. If you’re more interested in visiting unique and wonderful animals then go to Zoomarine in Albufeira where you can encounter dolphins, sharks, seals and crocodiles. Not your everyday animals in an English zoo! Krazy World offers a similar experience with the addition more on getting involved with the animals and experiences such as high ropes and tree climbing for the older children. To ensure a perfect holiday try to plan before you go and budget each day as to avoid stressful decision making when you arrive. Remember that you are on holiday and therefore deserve to treat yourself a little! Madeira is an absoulutly amazing place to visit. my fiance is from there and we try to go back evey year to visit family. The people are lovely and their hospitality is fantastic. In early august normally the first week and held in Machico it is the gastronomic festival. This is always the highlight of our hols to Madeira as the choice and quality of food on offer is great and there is entertainemnt thrown in aa well, both modern and traditional.